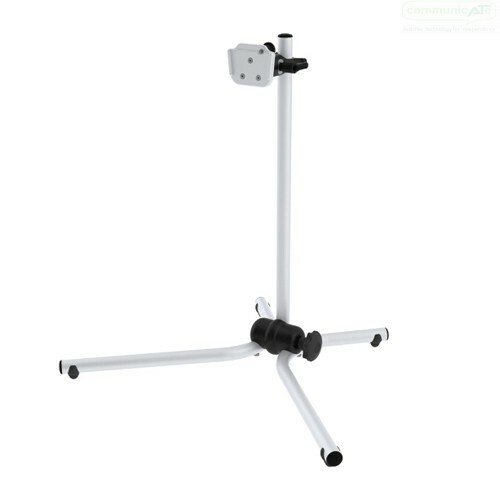 A sturdy REHAdapt mount for positioning technology on the surface of tables and desks. The REHAdapt Table Stand is perfect for positioning technology on flat surfaces. With an X-formed frame base that includes automatic leveling system for use on uneven surfaces, the REHAdapt Table Stand ensures a very sturdy mounting system for all types of devices on desks, tables or trays. The vertical pole allows for adjustable height positioning of the Unviersal Device Socket along it's length and making the "in-use" position adjustable.